Can Lowell Be a World-Recognized ‘City of Learning’? An occasional contributor to our blog, John Wooding is familiar to many people in the city for his work at UMass Lowell and in the community. He recently retired from his position as a professor of political science. He is a former provost (academic vice president) on campus. John continues to be involved in several Lowell organizations. Mayor Bill Samaras gave John a Key to the City at John’s retirement party in appreciation for all he has contributed. I’m sure John would like to hear our readers’ thoughts about this big idea that sounds perfect for Lowell. I thought about it a while and remembered something from long ago, when I was around 11 or 12. It must have been about 1964, The Beatles had just taken the country by storm and I was on the cusp of becoming a teenager. My grandfather, then long retired and already in his 70s, was showing me how to make a mortise and tenon (the mortise and tenon is simple piece of carpentry and the most basic of joints). Grandad had lived through two world wars and the Depression and knew a thing or two about thrift. He had taught himself woodworking so he could fix up his house, but also, I suspect, because he knew the power of working with your hands. What was it about that moment that made it so special? I was working with someone I loved in a place warmly familiar (Grandad’s old shed in the back yard), full of comforting smells and little make-shift shelves. I can still recall him rolling his cigarette before showing me how to glide the chisel across the oil stone until the tip shone like a diamond, the cigarette resting up in an ashtray made of part of an old shell casing he had brought back with him from France in 1918, while he worked the stone. I still have that chisel. My teacher was patient, encouraging but critical, as he showed me how to saw straight and to chisel. Perhaps more than anything the moment resulted in something that I made with my own hands, under the guidance of someone who knew what they were doing. It was about learning a skill, of figuring something out, of being with my grandfather. In that moment skills were being passed on and connections made and that is, perhaps, the essence of all learning. I bring this up, not for the nostalgia, but for what it says about why learning is important and why it can go on, and be valuable, in the odd moments in life and in many places. Most of us, I would guess, have experiences like this: learning something outside of the classroom or any educational institution where the experience was better and more lasting than in anything we got in a classroom. This memory of woodworking with my grandfather (and the question that prompted my recollections) made me think a little more deeply about learning in general, knowledge, how we learn, how and where and what we teach. We know that people learn best by doing. We know that learning should never stop. We know that learning together is better than learning alone. We also know, at least we should, that nearly everyone has knowledge, skills and wisdom from which we could all benefit. Students can be teachers and teachers can be students. For far too long we have accepted that knowledge comes only from a credentialed expert standing in front of a class or on a stage. Yes, learning can go on that way, but too often it is boring or irrelevant or ignores the knowledge that we all carry within us. The lesson? By breaking out of the classroom and seeing (and seizing) opportunities to gain new knowledge and new skills, we build confidence and community. After all, learning is an act of intellectual and democratic engagement. Learning is good. These ideas were really put into focus for me in April last year when I visited Cork, Ireland, during that city’s week-long Festival of Learning. 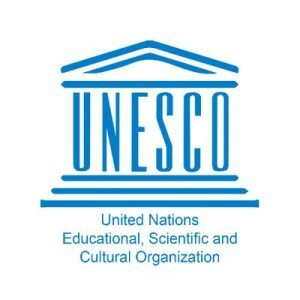 About 12 years ago Cork had followed the lead of many cities around the world to declare itself a UNESCO Learning City. Now it celebrates that designation with an annual festival that brought the streets alive. Throughout Cork and in the streets and in the neighborhoods, there were hundreds of learning activities: everything from Architecture to Zoology. I saw glass-blowing being taught in a small studio by the river, drawing lessons in a pub downtown, a group of kids learning to play guitar led by a young man in a cafe, older adults puffing their way through a physical fitness classes in the school gym, vegetable gardening at a community plot, lectures on history and music in the local library, art exhibits in a couple of stores, and a session on how to crochet in a local coffee shop. The city was brimming with activities, all free, and many led by just ordinary folk. Cork was vibrant. When I came back to Lowell it was easy to imagine that Lowell could do what Cork and many other cities had done: be designated as a UNESCO Learning City. All the elements are already here. The idea of Lowell as an educational hub is built into its DNA going back at least to Patrick Mogan’s vision in the late 1970s of Lowell as “an educative city.” The National Park was part of that vision and is a vibrant educational force. We have the institutions: a major research university, an excellent community college, and an excellent school system. We have the museums and art galleries, we have the artists of all kinds and heritage workers, and we have hundreds of community groups most of which offer educational programing. As is often said, you can go from kindergarten to a Ph.D. and never leave the city. First UNESCO Learning City in the United States? What better place than Lowell for such an idea? Lowell has reinvented itself many times as Mill Town, immigrant city, cultural and creative city…all of these visions of Lowell are really about learning in new and old ways, of bringing people together to discuss, explain, help, communicate. Most of the things I saw in Cork are already happening here. We could easily create a curriculum for the city that brings together young and old, students and residents, professors and artisans, cooks and plumbers. We have already kicked this off with our five-day Festival of Learning in April of this year. We can build on this and develop a theme for every month of the year, leveraging some of the key activities and festivals that already make Lowell a place to live and to visit. Why not a month of learning about music and musical traditions built around the Folk Festival in July? Or on writing, reading, and poetry in October using Lowell Celebrates Kerouac! as an anchor? We could focus on a continent by using the African festival to understand more about Africa’s past and future. The possibilities are limitless. Students could become teachers, professors could bring their knowledge and work into the city, classes could be in restaurants and cafes, on plazas and in parks. We could all, in a very real sense, learn from each other. If we apply to become recognized as a UNESCO Learning City we not only put an exciting frame around what Lowell already does well, but also drive the idea that the city is a place of culture, of tolerance, and of engagement. A place where people can learn new skills and refine old ones. 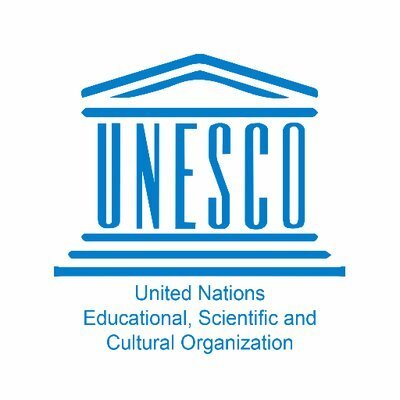 If successful in a year or two, we could become the first-ever UNESCO Learning City in the United States, connecting us globally to similar cities on every continent. In the end there would be a lot to like and learn about Lowell. One Response to Can Lowell Be a World-Recognized ‘City of Learning’?